Alex, what does the nic.at R&D team do? AM: A lot! At the moment there are five of us working on a range of topics covering everything on the nic.at product spectrum. We work on the existing basis as well as new innovations that will find their way into our products at some point in the future. These include new statistics for our RcodeZero Anycast customers, an initial prototype of an RDAP server, and internal projects, such as a tool that is able to forecast registration totals for the year ahead. This involves exciting approaches such as machine learning. We are also heavily involved in standardising new protocols for the DNS, for example in the Internet Engineering Task Force. And finally we are conducting research into the connection between blockchains and namespaces. The DNS has been around for more than 30 years now – are there still new developments to be made? AM: Absolutely! Without doubt there are some extremely exciting developments going on right now. At the moment a lot of work is going into handling DNS queries via TLS and HTTPs instead of UDP. This will have a huge impact on operator infrastructure. 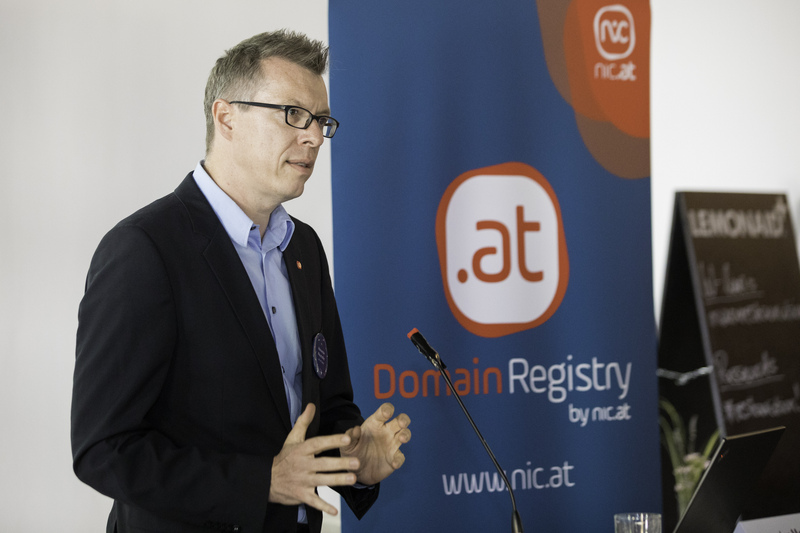 And we see it as an important part of our job to introduce developments like this to the community and discuss them, which is why we set up the DNSheads Vienna meet-up, an event that lets operators of DNS services network with each other. Many of these operators do not simply have the time to look at all the new developments – so we put our knowledge at their disposal while at the same time providing the framework for them to compare notes among themselves and with nic.at. The next event is scheduled for 29 October. You mentioned blockchains – where is this technology heading? AM: Cryptocurrency markets are currently being hit by the harsh light of reality. But in amongst all the noise, people are overlooking the fact that blockchains can be put to good use in areas other than Bitcoin and other cryptocurrencies. In the same way that databases are taken for granted these days, maybe blockchain-based data structures will be the standard one day – provided the problems relating to use of resources and data protection are solved, that is. For us, it is interesting to see how namespaces are developing in blockchains – will the DNS play as big as a role as it does on the “normal internet”? You also have an event dedicated to this topic? AM: Correct. There is a regular and well-attended meeting on the Hyperledger blockchain initiative. The next event is scheduled for 16 October. We are really looking forward to hosting this event at the nic.at office. We are still fine-tuning the programme, but can confirm that we will be focusing on the subject of identity management. This is a particularly interesting area right now as identity management, just like the DNS, plays a central role on the internet and is, in our view, one of the most logical applications for blockchains.